Though the secular media bombards the domain of the airwaves, God is now making His voice heard at the courthouse. 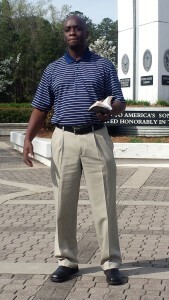 Jeremiah Arthur has felt God call him to leave all behind and network along with BTGM outside the courthouse. Jeremiah is a partner in this great opportunity. We pray the Lord of harvest will send forth laborers.